I had been eyeballing the scotch since morning. I guess most people just read the cereal box at the breakfast table, but hey, I already read the box a million times. And the scotch was sitting right in front of me. I’m almost ashamed to admit how the marketing sucked me in. Their promises of coconut and vanilla were too much for this locust to resist. Although, I am proud to say that I made it through the work day and even dinner at home before I capitulated to their evil scotchy plot. I had finally settled down in front of the afore mentioned fire before I asked the Enabler to bring me a glass. At first sip it was delicious. The Enabler is accusing me of being related to my mother. Well, to that I say, “Duh.” The second sip reminded me of the marshmallows that the children had roasted for dessert this evening. Perfect I thought. I’ll have one of those! Then the epiphany hit me. I had the makings of smores in the kitchen. I immediately set the Enabler ambling off to the kitchen again. Once assembled, I realized how perfectly the smores and scotch were matched. The vanilla in the marshmallows coupled with the burnt sugar was a tasty mirror of the sweet scotch with a touch of smoke on the finish. And purely by accident, the only chocolate available had almonds. The crunch was a perfect textural accompaniment to the dessert as well as a mellowing agent to make the dessert ever so slightly less sweet. It’s heaven. I think I’ll have another. And there you have it. 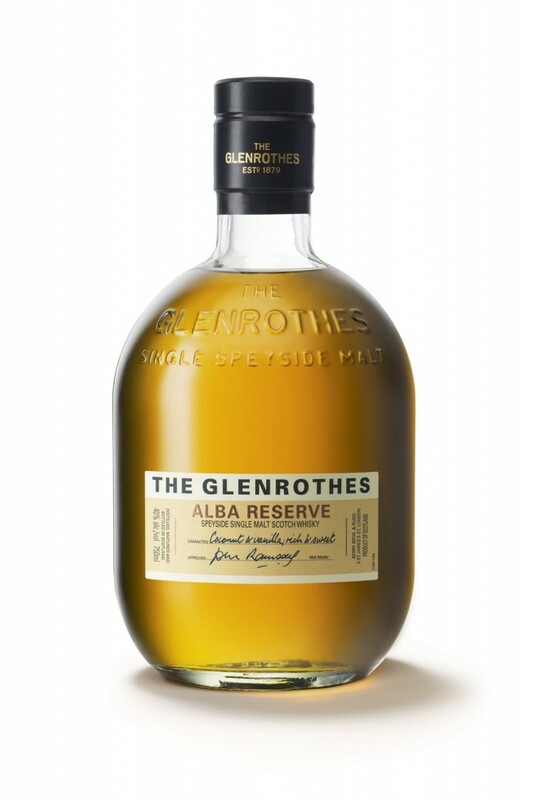 Our review of Glenrothes Alba Reserve Single Malt. The Palate’s first words were “Delicious. Don’t you think so?” My response was that it was good for scotch. I will go along with her, though. It was excellent for Scotch. So, Glenrothes Alba Reserve Single Malt. Hints of vanilla, toasted marshmallow. Sweet, smooth, a medium finish. Just right. Highly recommended. At $50 to $60 per bottle, not cheap but worth the money. An excellent Scotch. Buy it, we urge you. You will not be disappointed. Wunderbar! Get the graham crackers! Also, perfectly timed, the Alba is a Kosher whiskey. The first I have heard of. Does the Rabbi have to kill the barley with a blessed knife? Happy Hannukah! Hic.